Authors Nina and Milan Marković Matthis. Premiered December 18th 2015 at Inkonst, Malmo as part of “Dreambox”, in cooperation with Bombina Bombast. Funded by Swedish Arts Council, Skåne Regional Council and the Department of Culture in Malmö. 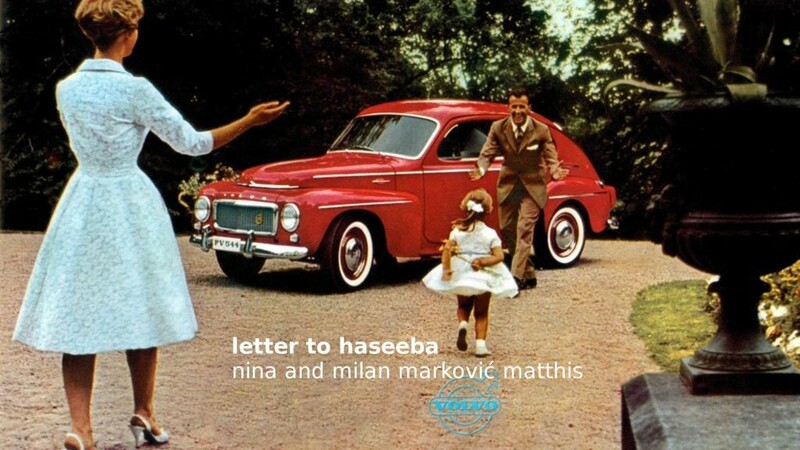 Letter to Haseeba, read the text: here.